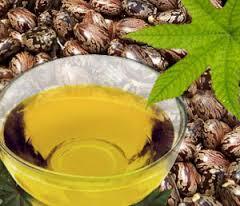 Castor oil has been used for over 1000 years as a natural laxative. It has been proven to be a safe an effective laxative by the medical community. The use of castor oil on eyelash growth is a popular home remedy. Applying the oil to the lashes with a clean mascara brush before bedtime can help with their growth. By coating the hair shaft and smoothing out the cuticle layer, the oil is able to help the follicles of the lashes. What are other options to apply castor oil for eyelash growth? Making sure that you purchase the correct type of castor oil is vital, as there are castor oils that are used for other purposes, such as industrial use. Shopping at a health food store or online is your best bet for finding the right castor oil. Check the label and stick with an oil that is cold-pressed or cold-processed, as these are the indicators of a pure and all natural top of the line product. It is important to note that the use of castor oil is safe castor oil is non-toxic. If you are unhappy with either brittle, short and thin lashes or even having no lashes, why not give castor oil a try. It is really unlike other remedies you may have tried, and it is inexpensive. This remedy is great as you only need to use it at night, while you sleep. So go to bed with the castor oil and let them begin to grow as you rest. In order to try this method, you will need, obviously castor oil, as well as a clean mascara wand and Q-tip. Before you begin, it is pertinent to wash your entire face and the eye area. Once you are all cleaned up, dip the clean mascara wand in the castor oil and tap off any extra. Using the wand, start at the inner corner of the eye. The lashes should be completely coated with the castor oil, but applying from root to tip is important. This should be done on both eyes. Remove any excess oil that may have dripped under the eye area with the use of a Q-tip. Then simply go to sleep. Once you wake up clean off the castor oil, don’t forget or your eye makeup that you apply that day will bleed all down your face. Continue this process nightly and I promise you will be thrilled with the results. Castor oil and or olive oil can be applied to your eyelashes in the evening before you go to bed, with the use of a clean mascara brush or if you don’t have one you can just rub the oil between your thumb and forefinger and apply to the lashes that way. In the morning wash the oil off completely with either makeup remover or a gentle soap and water. Make sure you rinse the oil off completely, or it can attract dust and/or dirt to your lashes, which can wind up in your eyes. You will want to be sure not to get any oil in your eyes, but if you do make sure you wash your eye completely with water several times to make sure it all washes out. Using a glycerin and egg white mixture added in a very small amount, such as two eye drops from an eyedropper, in to castor oil can help to strengthen and lengthen your eyelashes. It can be applied at bedtime with a clean mascara brush or by rubbing the mixture between the thumb and forefinger, then applying a light coat to the lashes. Go to sleep and wash off thoroughly in the morning. Biotin is a B vitamin, which affects hair skin and nails. You can take a biotin supplement, 3000 mcg daily to help improve your eyelashes. The noticeable effect can be seen in about three months. There are also no reported side effects with the use of Biotin. Increasing your intake of vitamin C and vitamin E, which are two antioxidants that are in citrus fruits as well as leafy greens, can help with the growth of your lashes. These two antioxidants have been proven to help in the normal growth of hair as well as its development. A few drops of olive oil on a cotton ball, can be applied to your lashes right before bedtime. Sleep with the oil on, wake in the morning and wash off really good. You will notice a change in your lashes before you know it. Emu oil is extremely effective for eyelash growth. It contains no harsh chemicals, and if applied daily for 28 consecutive days it can result in longer fuller lashes and can also assist those with brittle lashes. A small amount applied with a clean mascara brush is all that is necessary. Vaseline is another way to enhance your eyelashes. It can be applied with a clean mascara brush or by rubbing it between the fingers then applying it. It should be applied just before bedtime and washed off when you awake in the morning. My Nail Beds Are Purple, Why?